Here are a few easy ways to increase conversions and optimise the performance of your eCommerce website. 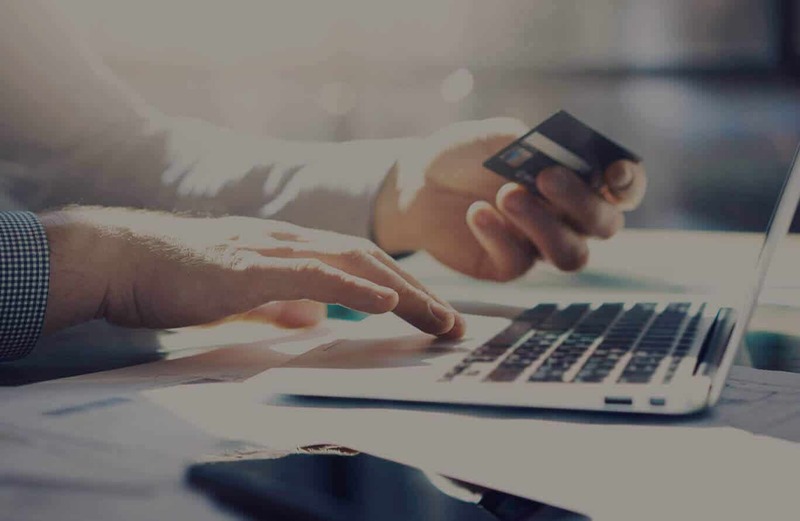 We’ve all had the frustrating experience of filling your online shopping cart, getting to the checkout, entering all your contact and payment details and being presented with unexpected shipping costs which causes you to abandon your online purchase. Based on a compilation of 33 studies, the average eCommerce cart abandonment rate is around 69%. Investing in a seamless checkout experience will guarantee you conversions. The first stage is where you’ll have the largest drop-off of customers in the checkout funnel. Start by removing the ‘Sign In’ barrier. Use a one page checkout so customers can see the end of the journey and keep the form simple and uncluttered. Use clear labels and next step instructions and include a progress indicator. Make entering details quick and easy by incorporating functionality that allows you to personalise and autofill the checkout process for returning customers. Customers should know shipping costs before they’ve reached the payment step of the checkout so there’s no surprises and you can also pre-select the cheapest shipping option to speed up the process. To build trust within the checkout, make sure your page match’s your site’s look and feel, a disconnect between the two can throw off your customers. Most importantly, keep your SSL certificate up to date, it will tell your customers if your website is safe to make a payment with. Navigation is crucial to creating your customer journey and driving them through the conversion funnel. Poor navigation can confuse your customers and prevent them from finding what they are looking for and lead them to abandon your website. Information architecture (IA) is how you organise, structure and label your website. This needs to be well thought out and will set the path for all the different user journeys on your website. Use a clear menu structure and keep it consistent across every single page on the website. It might seem obvious, but ensure each menu item is a clickable link, including items in drop down menus. If you’re not sure how to structure your menu, heat mapping is a great tool to see how your users are interacting with your website and can give you a good basis of how to structure your navigation. The benefits of using a search function on eCommerce websites is often overlooked. According to WebLinc, shoppers who use internal site search converted at a 216% higher rate than those who do not. Giving customers the option to search for items allows them to take their own customised user journey. It creates an element of engagement on your website, makes online shopping more efficient and can help influence buying decisions. It also helps you keep track of what people are searching for, so you can adjust your website accordingly. To ensure it’s most effective, place the search bar near the top menu navigation, use placeholder text e.g. ‘search’, ‘find’, ‘enter product’, use autocomplete or suggestions and offer different filter options on searched items. This helps your customers further refine items based on search terms. When it comes to deciding what to buy, ‘social proof’, that is, input from people we trust is more influential than advertising. Customers want to see other people’s experience with a product before they commit to buying it. User reviews are proven sales drivers. A study by iPerception found 63% of customers are more likely to make a purchase from a website with reviews and site visitors who interact with both reviews and customer questions and answers are 105% more likely to purchase while visiting. Users reviews also help to attract more content to your website, improving SEO rankings on pages. To attract reviews to your website, make it easy for people to do it. Ask for reviews on product pages, email customers after they’ve made a purchase asking to review the product (once they’ve had time to experience it) and offer incentives to leave a review e.g. Review your product and go in the draw to win a $100 gift card. You can also consider using a third party review provider that will help build authenticated reviews on your website. Slow loading time can kill your website. According to data from by Akamai and Gomez.com, 79% of online shoppers said they would not return to a website to make another purchase because of poor performance during their last visit. In our consumer world, customers expect their experience to be fast and efficient, so you can’t afford to lose customers to a slow website. Your page speed also affects SEO, impacting a new visitor’s ability to find your eCommerce website through search engines and PPC channels. Slow load time means less visibility on Google. Your website should be optimised for speed, especially on mobile websites. ‘Speed Suggestions’ in Google Analytics and PageSpeed Insights in Google Labs can give you suggestions on how to increase load time. It also very valuable to evaluate your Time to Interact (TTI) speeds to see how long it takes for a page to deliver a specific experience that your customer is seeking. Marketing tags can slow your website down, so use Google Tag Manager to remove any unused tags. Optimise your images, use fast and reliable hosting servers and ensure you include breakpoints on mobile so your website will resize or respond to suit the best browsing configuration for the screen that your customer is viewing. Providing customer support to your users on your website is incredibly important in building trust with your customers and increasing their chances of conversion. Contact details should be easy to find, including a phone number or email address that can give them direct support without delay. Implementing an online chat system can provide customers immediate access to help. Wait times are often much less than a call center, and customers can easily multi-task while waiting. Having FAQs on your website can also help to alleviate purchasing anxieties, relieve the burden on customer support, improve SEO and site navigation and earn trust with your customers. FAQs provide a unique opportunity to directly address concerns and remove obstacles on the path to purchase. When deciding how to choose the questions you’ll include in your FAQ section, focus on relevance, utility and opportunities to turn that question into a path to further engagement or conversion. A responsive eCommerce platform is crucial to delivering an exceptional shopping experience to online users. Almost 80% of people use smartphones to search the internet, so if your website is not built to be responsive on mobile, you’re missing out on a lot of customers. Traditional desktop focused websites often have problems loading on mobile devices, creating a frustrating user experience. A responsive mobile design means your website will adapt its layout to the size of the device and switch orientation between portrait and landscape as the device is rotated. The design must also account for a touch screen interface instead of traditional cursor inputs, requiring a user-friendly design with clickable items. A good product description can increase sales and drive traffic to your website. A product description should effectively describe and sell the product, making it attractive, specifying a need and highlighting why the customer should purchase it. The description should be written with SEO keywords in mind to increase your rankings with Google. Because customers aren’t seeing, touching and experiencing the product in store, product images are there to represent the physical product that the customer will receive. Use high-quality images, that are the same size and are consistent with the brand. Have multiple images for one product, showing it in use, highlighting its purpose, present it at different angles and include close-up images of colour, texture and fine details. Originally published at www.4mation.com.au on May 17, 2017. I am passionate about helping businesses building audiences using innovative growth marketing tactics. Also, a firm believer in incorporating marketing and UX to create truly exceptional user journeys.